Lightweight systems need lightweight desktops. XFCE was once the favourite lightweight environment for many, then it grew larger. It might still consume less resources than its heavier siblings, but it keeps adding so many more features that some now say it’s bloated. 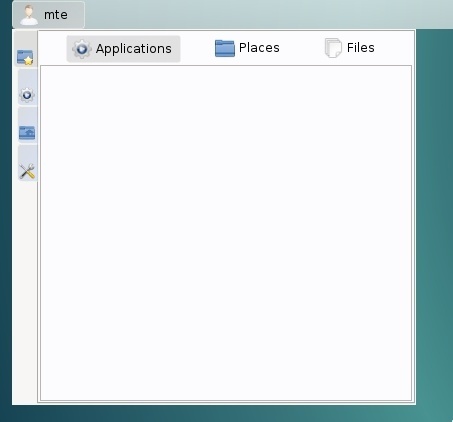 Then there is LXDE, LXQt, and razor Qt, which are all excellent choices but not as light as fluxbox or openbox. While the former selection offers more usability on the expense of marginally more resource consumption, the latter can feel clunky and alien to use. Lumina takes the middle ground. It is super-light, user-friendly and very customisable. Lumina is a relatively new project. 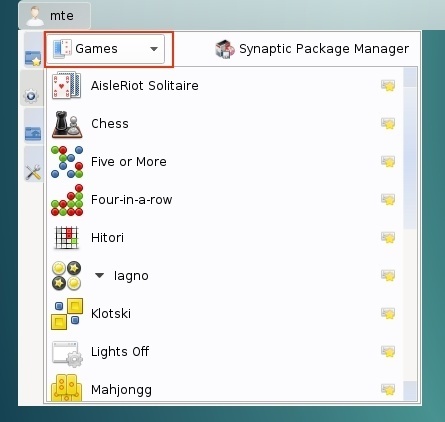 It’s built on fluxbox, using Qt, and is not yet available for many distributions. 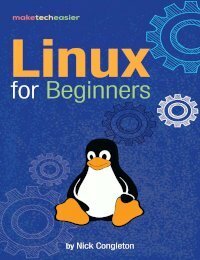 The Lumina website has very detailed instructions on how to build or install it on various systems, but Linux binaries are apparently only available for Arch, Debian, Fedora, Manjaro and some BSDs. 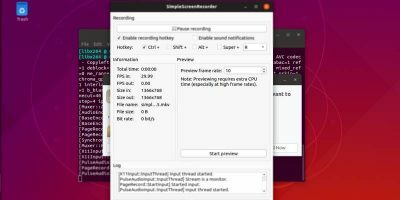 It is interesting to see a software not being immediately available for the Ubuntu ecosystem. Possibly the developers’ logic was that if a super-light system is built, they might as well use a more advanced distribution. 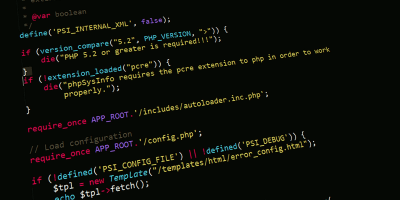 That said, the installation is straightforward even if you decide to install from source, for which good, detailed instructions are also given in three different scenarios (including deployment on Ubuntu). For installation instructions, it is best to visit the Lumina website to select the most suitable scenario. 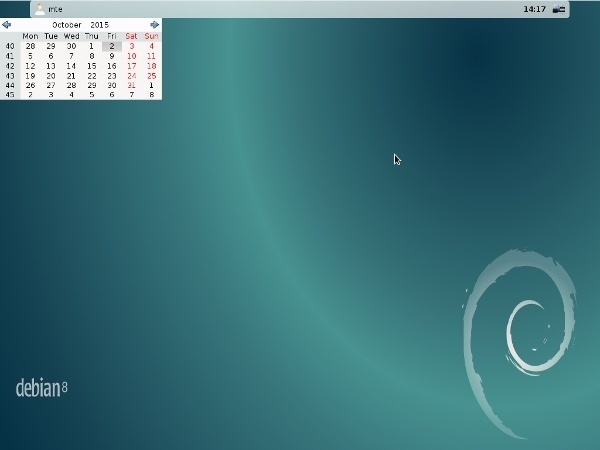 When you first log in, you will find a plain desktop with a single top panel and an oddly-placed calendar widget. There is no start menu, but you will see a “user” button. 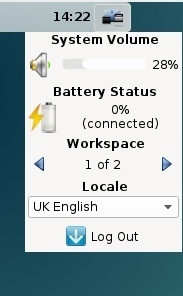 To the right, there is a clock, and the so-called “system dashboard,” from which a volume controller, a battery status indicator, a workspace switcher, a locale switcher and a logout button are visible. which will make the calendar grow a title bar, then moving it wherever you like or getting rid of it entirely. 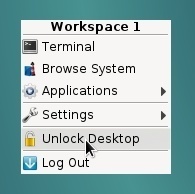 Once you find the preferred location, the desktop can be locked again. 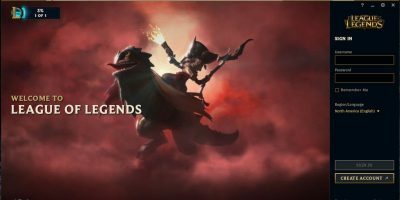 When you click the user button, you will find that the menu is empty. This is, of course, not the case. It is only that you are in the “favourites” view which has nothing in it yet. You can have favourite places, applications and files stored here which shows immediate usage potential. Clicking the Applications button on the left, your menu will be populated. By default you see all your installed applications in alphabetical order without any grouping. You have a group selector on the top, currently showing “all.” Clicking it will show a drop-down menu from where you can access any Application group, though you can only get it to show one group at a time. Choosing the “Home Directory” icon on the left brings up folder views. 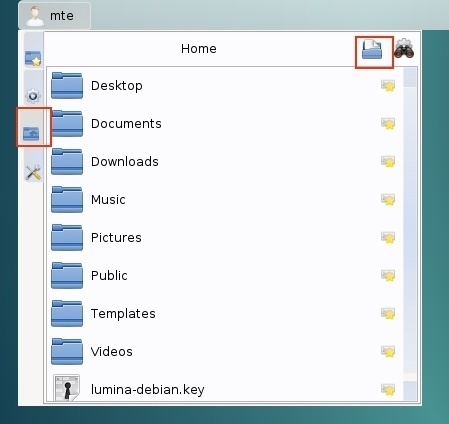 You can open any current directory in the default file manager by clicking the top-left corner icon. The Home Directory menu also offers a search functionality by clicking on the binocular icon at the top-right corner to launch the Lumina search application. 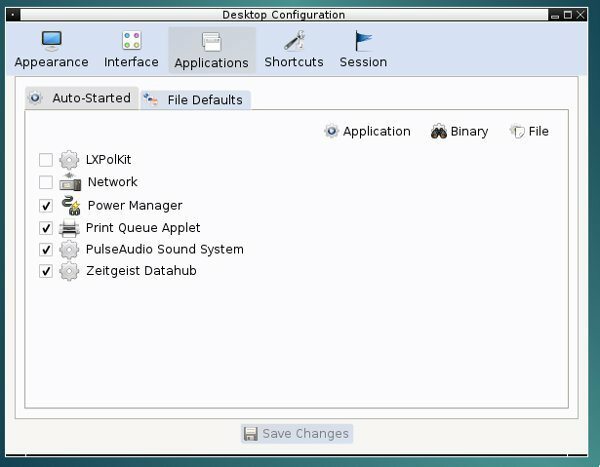 The last section is Desktop Preferences, which offers Desktop Configuration (which is basically Lumina configuration, also accessible from a terminal by typing lumnina-config), Screen configuration (for multiple monitors, screen sizes, etc. ), and XScreensaver config. 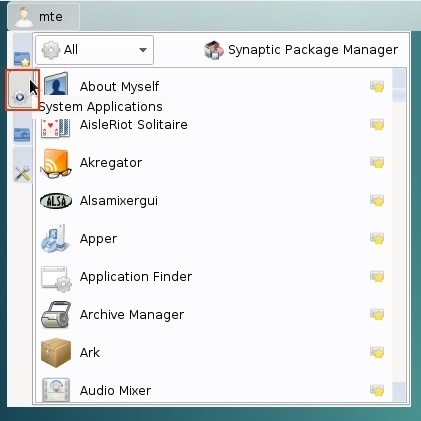 In Desktop Configuration you can change the system appearance and behaviour. A nice touch is the built-in wallpaper rotator that works right out of the box. The theme selector offers a few weird-looking colour schemes by default. Themes can be customized. The settings panel enables the user to edit the template’s CSS, which means the desktop can be turned into whatever you like (or are capable of). 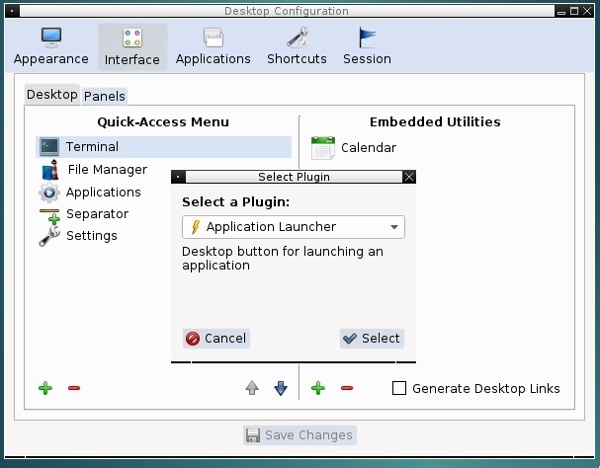 Under the Interface settings you can change the quick access menu’s components (desktop right click) and the embedded widgets, like the aforementioned calendar. and window-system-specific settings. 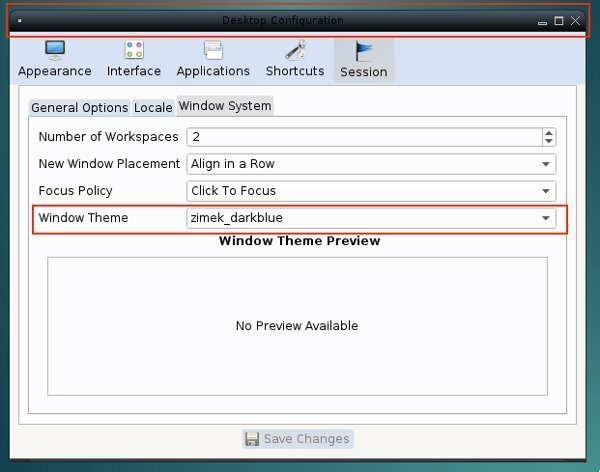 Interestingly, the window decorations (that changed upon changing theme) could only be set up from here instead of the theme menu. Also, being offered seems to have resembled the default window controls. After experimenting with panels a little, it turns out there is a “proper” classic Start menu to be used which gives a third way to access applications (after the User button, and from the right click context menu). Lumina is not so much your usual DE, coming with all sorts of applications and office suites, etc., but rather an interface through which you can interact with the system. 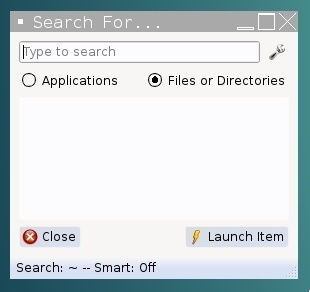 As such, it only has a simple set of applications available, consisting of the already mentioned “lumina search” which is also accessible from the menus. 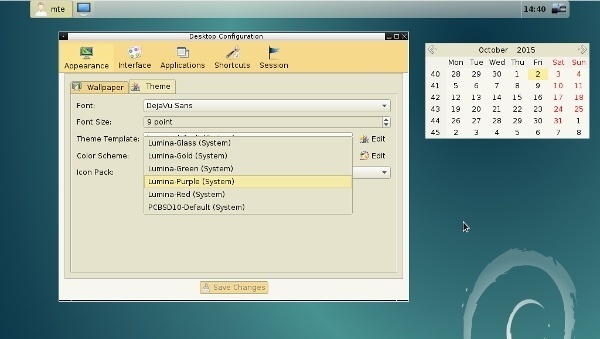 A simple file manager called “Insight” (lumina-fm), a basic screen capture application (lumina screenshot) and “lumina desktop-info,” tells you about the DE. Anything else you’d have to install yourself. Lumina is really lightweight. It is fluxbox-based, which is, of course, one of the lightest window managers out there. Lumina tops fluxbox’s sub 10MB memory use with further 70 MB with the standard settings. 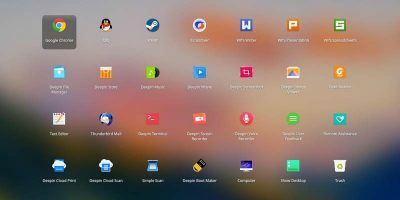 This means that this completely customisable, user-friendly and not bad-looking Desktop Environment uses less than 80MB of RAM, which is not exactly heavy by any standard. With that much memory demand, it definitely does not get in the way. It is, of course, difficult to benchmark a DE. 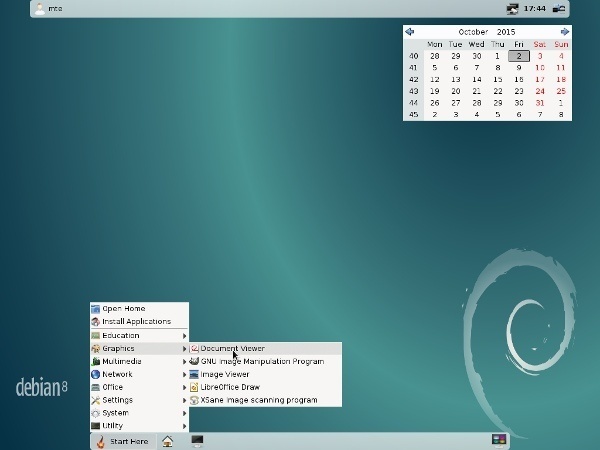 To show how fast Lumina is on a fresh minimal Debian 8 install, where no other DE has been deployed, manually starting the desktop environment meant that the window manager was up and running in a fragment of a second. After installing a few applications, clicking any launcher resulted in an immediate response. Everything started up as soon as the mouse button was released, with the only delay caused by heavier programmes loading themselves slower into memory. Lumina is as snappy as possible. 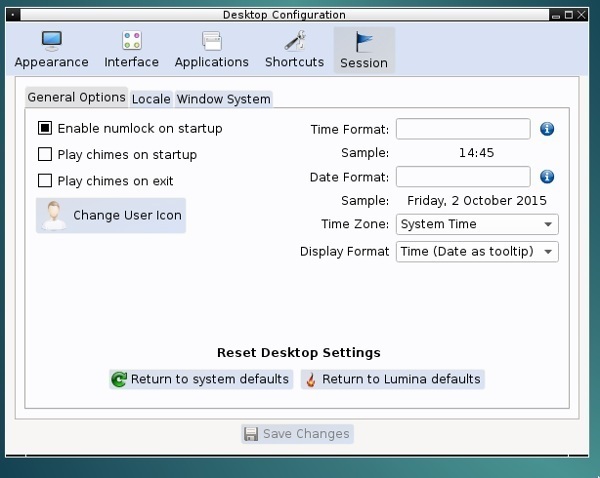 For small, old, or purposefully lightweight systems, Lumina is one excellent choice for a desktop environment. It is probably less well known then some others but definitely easier to use than similarly lightweight window managers. Lumina is super light and very customisable. 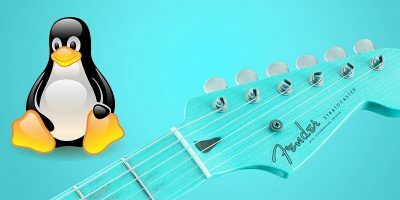 The modular plug-in based approach makes it possible to have it as stripped down or (relatively) feature rich as the user likes. Although some features might look unfamiliar at first, especially for someone coming form a heavier or different environment, Lumina makes configuration not only straightforward but intuitive as well. For now, its availability is somewhat limited, but hopefully it will soon come packaged for more distributions. 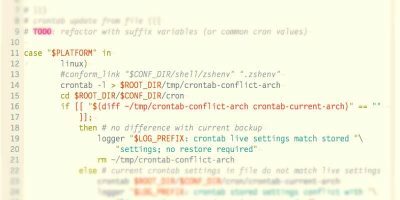 Until then, you might as well consider switching to Debian, which would be an excellent base for a lightweight system, or consider installing from the git source. 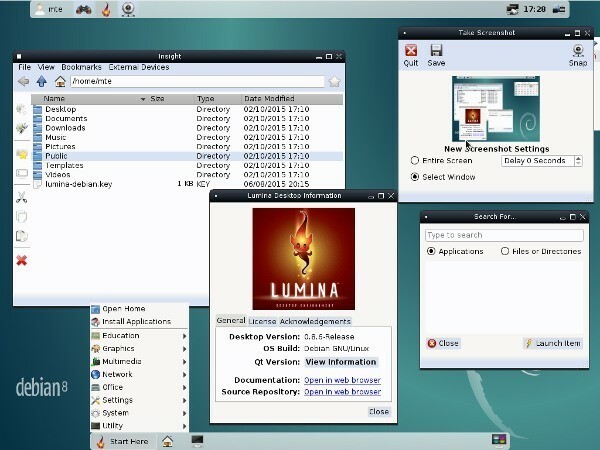 Lumina is primarily being developed/packaged for the PC-BSD/FreeBSD operating system and not the Linux ecosystem of distributions, so we do not go out of our way to provide pre-packaged versions of the desktop for all the various Linux-based operating systems. 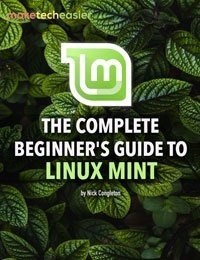 That being said, we *have* made it incredibly easy for Lumina to be ported/built on almost any operating system (as you noted in your review) – so if somebody wants to build/host pre-compiled packages for a Linux distro like Ubuntu we are more than happy to provide assistance in creating that packaging script (such as adding new build-time options within the Lumina sources as necessary). Thanks for your comment. And thanks for Lumina, I grew to like it quite a lot. :) Of course it is perfectly understandable, that BSDs are your primary target, and to be honest it was quite refreshing to see someone finally ignoring Ubuntu :D (but I could not put this down in the article, for obvious reasons). As I wrote, if someone needs a really light installation, they should not go the Ubuntu way anyway, both Debian and Arch are way better suited for the purpose. So thanks for the hard work, it’s an awesome DE! 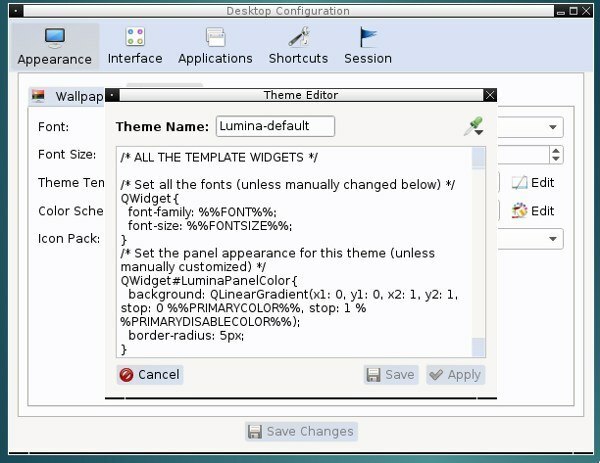 Lumina is exactly what a DE should be – free of bloat yet I am able to customize it extensively. Even more so than XFCE and LXDE. Arch and Manjaro both have Lumina in their repos now. 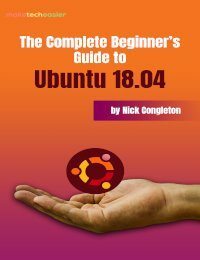 Hopefully other distros will catch on. 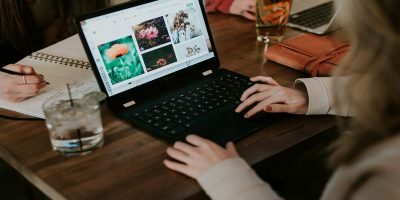 I’m currently using Manjaro with Lumina on a 10 old year laptop and it’s lightning fast. PC-BSD is rock solid as well. Too bad they dropped the 32-bit version though, otherwise I’d use it on all my equipment.